Today I am going to share my favorite villains from literature and film…villains are sort of my favorite thing so this might just be me fangirling all over the place..
After taking a peek around here, make sure you head over to Brittany’s blog to read about her favorite villains! Bela Lugosi – Arguably the most famous actor to ever portray Dracula, Lugosi set the standard for the Dracula character we know and love today. 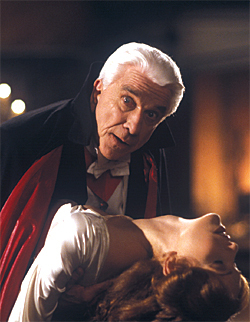 Since we are working hard during The Fortnight of Fright to cater to the scary and comical side of Halloween we can’t forget Leslie Nielson’s portrayal of Dracula in Dracula: Dead and Loving it. Like Young Frankenstein, I watch this film too often – I enjoy me some Mel Brooks, what can I say? Renfield: Yes, I’m schh-eduled to meet Count Dracula. There have been so many retellings of the novel Dracula and I have read my share. 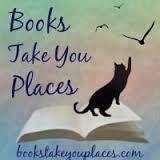 My favorites by far are The Historian by Elizabeth Kostava and Dracula in Love by Karen Essex. Anywho…if you’re looking for Hook in literature besides Peter Pan, give The Child Thief by Brom or Tiger Lily by Jodi Lynn Anderson a shot. They’re both pretty amazing, I promise. The Evil Queen: True, when I think of The Evil Queen I think of her portrayal in Snow White, but I believe The Evil Stepmother, Malificent, The Queen of Hearts and Mother Gothel can fall under this title as well. This character is terrifying because she is the epitome of evil wrapped in a mother’s garb. The Evil Queen has been rewritten again and again and each time I am impressed at her beauty, grace and utter corruption. How about those actors you love to hate? Alan Rickman: You’re all like “Girllll you know you mean Severus Snape” and yes, I do but also? I mean the Sheriff of Nottingham because I am a TEENY bit obsessed with Robin Hood. SO, Severus Snape FOR LYFE due to the duality in his nature and all of that good stuff but also THE SHERIFF because he is an evil dude and Alan Rickman is AMAZING. Tim Curry: Let’s be serious, the dude EXCELS at playing the bad guy. To name a few: Cardinal Richelieu from the Three Musketeers, Dr. Frank-N-Furter from The Rocky Horror Picture Show, Pennywise the Clown from It (throw up in my mouth), and Long John Silver from Muppet Treasure Island are some of my FAVORITE villains of all time (except IT, but we’ve covered that enough, I think) so it is no question that he be included on this fangirl list. You rock that hat, Long John! Notable mentions include: Bellatrix Lestrange (obviously), The Wicked Witch of the West, Nurse Ratched and…honestly..I could go on and on over here, villains are kind of my favorite. Instead, I will remind you to go visit Britt’s blog so that you can enjoy her favorite villains as well. Before you go though, let me know if you love any of these guys as much as you do and remind me of some favorites I missed! This entry was posted in Event and tagged Fortnight of Fright, Halloween, villains. Bookmark the permalink. I’m really starting to enjoy the villains more as I get older-I guess because they usually get to be more complex than the good guy. Um I’d have to say Tim Curry’s best role is in Muppet Treasure Island… haha no, but seriously, that was another one of my favorites as a kid and I’m SO glad you mentioned it!!!! He’s an awesome villain. For sure. you know who else I forgot now that we’re on the topic of just people who play villains most often – How about Jason Isaacs? I don’t think I could ever see him playing a good guy. Sean Bean plays a lot of bad guys too. Dude I fricken will always love Tim Curry. I especially love him as the butler in Clue. He’s fantastic. Mel Brooks. I need to watch Dracula Dead And Loving It. Bwahaha, I love Tim Curry! He’s always fantastic. I like him in The Three Musketeers too. Also Bellatrix Lestrange is probably my favorite HP villain. My favorite ‘evil queen’ might be the White Witch from Narnia, probably because she reminds me of the Snow Queen which is one of my absolute favorite fairy tales.